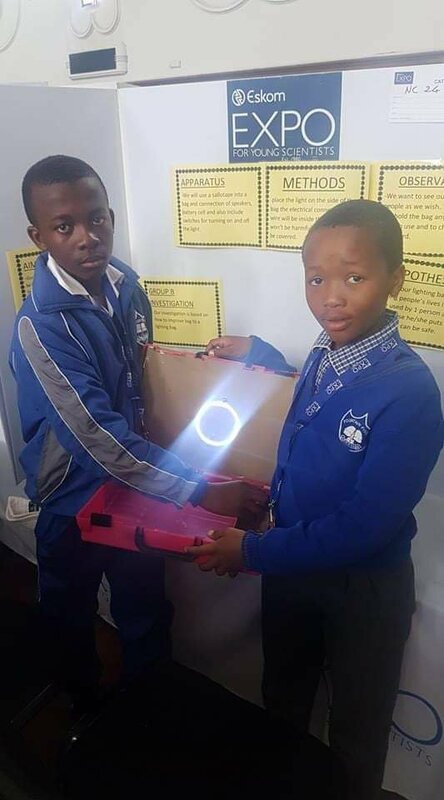 South African teens Njabulo Ndlovu and Vusimuzi Sihlangu are the creators of a groundbreaking bag, called Lighting Bag, that's a source of light. South Africa is plagued by power failures, so the bag could bring light for many. South Africa is plagued by power failures, so this bag could bring light for many. Global Citizen campaigns on the UN Global Goals, which work together to end extreme poverty by 2030. These teenagers' invention supports the Global Goals, including Goal No.4 for quality education, and Goal No.9 for industry, innovation, and infrastructure. Join us by taking action here to support the Global Goals. When Njabulo Ndlovu and Vusimuzi Sihlangu’s science teacher gave their class an innovation challenge to create a unique product, the 15-year-old friends knew exactly what they were going to do: find a solution to a persistent problem throughout South Africa that’s always getting in the way of their study time. There is no reliable supply of electricity in Rantanda, the township where they live and go to school in Heidelberg, Gauteng. So the boys decided to create a bag that can generate its own light by which learners can study. The Lighting Bag, which took the teenagers just a week to create, was made by fitting a bag with a xenon light from a car, connected to a car battery that keeps the light running even when there isn't any access to electricity. The classmates fitted the bag with a switch to give users control over when to use it. Cardboard protects the wiring, while the size makes it easy to move around it. 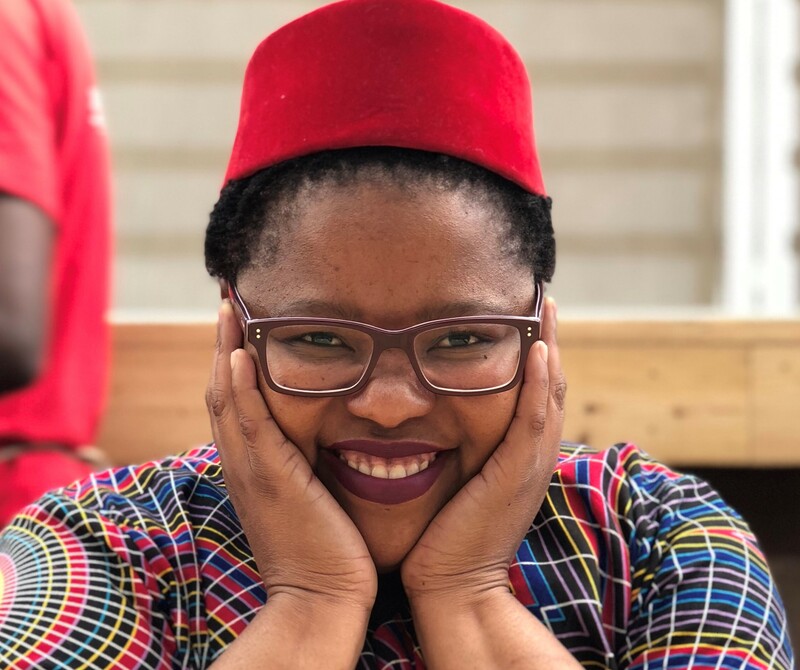 “Users can take it wherever they need it,” says Sihlangu who, along with Ndlovu, is a grade 5 learner at Fountain Five Primary School. Njabulo Ndlovu and Vusimuzi Sihlangu with their invention, the Lighting Bag. The boys said their Lighting Bag prototype, which launched in August last year, hasn’t needed new batteries since it was created. The bag doesn’t just offer a solution to a problem in their township; the lack of reliable electricity is a national hindrance. South Africa has been experiencing seasonal load shedding for several years and, this year, power cuts have become part of daily life. There is mass load-shedding every few months and at the moment, the country is experiencing what the power supplier, Eskom, calls stage four load-shedding. This is when electricity is switched off 12 times over a four-day period. This makes an invention like Lighting Bag even more necessary. As Sihlangu says, it’s a unique product, it’s made with recycled material so it doesn’t create any waste, it’s relatively cheap to produce, and turns batteries into a source of light. Candles also increase the risk of house fires, which is another common feature of life in South African townships and informal settlements. The Lighting Bag, its inventors say, is also a labour of love. They are both avid science students and want to be engineers. Sihlangu wants to use innovation to solve multiple problems, however, and he’s already investigating ways to make the Lighting Bag solar-powered. Their invention was showcased at the Eskom Expo For Young Scientists at the beginning of March.